Cuisenaire Rods: Pedagogical and Relational Instruments for Language Learning – Sevilay ADARCAY School for International Training Graduate Institute, 2012. ESL (English as a Second Language) the Silent Way Fusako ALLARD, The Science of Education in Questions – N° 7 – June 1992. Une Education Pour Demain, Besançon, France. Teaching “A” and “The” the Silent Way – Bruce BALLARD, 1986-2000. The Science of Education in Questions – N° 14 – May 1996. Une Education Pour Demain, Besançon, France. Parkinson’s Poker Face Pays off Pedagogically – Bruce BALLARD, 2015. http://www.parkingsuns.com. Why I Love My School – Bruce BALLARD, 2015. http://www.parkingsuns.com. Learning Bruce BALLARD, 2015. http://www.parkingsuns.com. Explaining the Concepts behind the Silent Way (PDF) – Patricia BENSTEIN, 1995. The Science of Education in Questions – N° 14 – May 1996. Une Education Pour Demain, Besançon, France. Teaching approaches: what is the silent way? – Tim BOWEN, one stop english, ?2011. Teaching Pronunciation As A Core Skill Using The Silent Way Approach (PDF) – Jordan CAEL School for International Training Graduate Institute,, 2010. Working with a Modified Sound / Color Chart – Donald E. CHERRY, Humanising Language Teaching,, Year 10; Issue 4, August 2008. English Language for Beginners – Deborah Delin, 2011. Talking shop: A conversation with Caleb Gattegno, inventor of the Silent Way (PDF) – ELT Journal, Vol. 36/4 July 1982. Silent Way Workshops (PDF) – Caleb GATTEGNO, The Teacher Trainer, 1987. Teaching Foreign Languages in Schools – The Silent Way (publisher’s description) – Caleb GATTEGNO, Cambridge International Book Centre, 1972. Teaching: a Way of Relating – Shakti GATTEGNO, Humanising Language Teaching, Year 4; Issue 4, July 2002. Cuisenaire Rods and Silence – Tim HAHN, Developing Teachers, 2000. Cuisenaire rods in the language classroom – Malisa ITURAIN, British Council Barcelona, 2005. SILENT WAY: Introduction (PDF) – Diane LARSEN-FREEMAN. American English – A Website for Teachers and Learners of English As a Foreign Language Abroad. Cuisenaire Rods – Sandy MILLIN, Blog, February 2010. How does the Silent Way work in the classroom? – Sandy MILLIN, Blog, May 2014. Cuisenaire rods in the language classroom – John MULLEN, Les Cahiers de l’APLIUT volume XVI · n° 2 · décembre 1996. Raising Japanese Students’ Consciousness of English Article Usage: A Practical View – Robert W. NORRIS, Fukuoka Women’s Junior College Studies Vol. 44: 95-104,1992. Teaching Foreign Languages the Silent Way – John PINT suite.io, 2010. Feedback: the Key for Teaching English Abroad – John PINT, suite.io, 2009. Discovering the Silent Way: Teaching Spanish to Beginners – John and Susana PINT, Caleb Gattegno – the Silent Way, 2005. 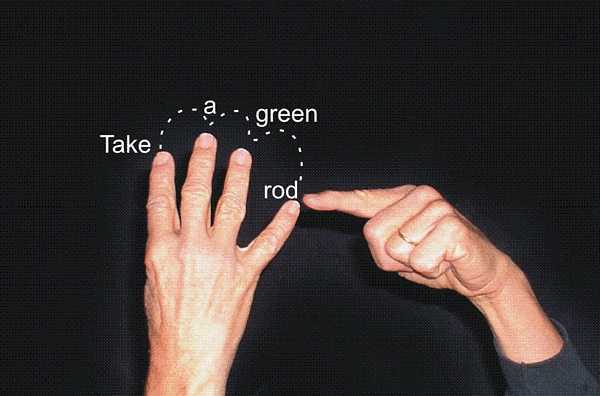 Discovering the Silent Way: Rods & Finger Correction – John and Susana PINT, Humanising Language Teaching, Year 12; Issue 6, December 2010. Discovering the Silent Way: Solving a new problem: Writing – John and Susana PINT, Caleb Gattegno – the Silent Way, 2005. Caleb Gattegno and the Silent Way – John PINT, Caleb Gattegno – the Silent Way, 2003. Cuisenaire Rods and Teaching Concepts – Steven QUINN, Teaching … the Silent Way, 2012. The Silent Way (Google Books) – Jack C RICHARDS and Theodore S RODGERS, ch 6 in Approaches and Methods in Language Teaching, CUP, 1986. The Fishbowl – Mario RINVOLUCRIi, Humanising Language Teaching, Year 3 Issue 4, September 2001. Rediscovering silent grammar – Sam SHEPHERD Teaching English – British Council, 2003. Using Cuisenaire Rods to Improve Student Pronunciation and Grammar – Catherine Sigmond, English at Large, 2013. The Heart of the Matter: How Gattegno influenced me – Lou SPAVENTA, Humanising Language Teaching, Year 1; Issue 1; February 1999. Chapter 6 in Humanism in Language Teaching, OUP, 1990. Starting out with words that ‘glue’ language – An extract from the British Council Elton award winning Natural Grammar, Scott THORNBURY, The Guardian, 2004. Teaching Grammar to Dyslexic Children: Some Ideas (DOC) – Daniela TOMATIS, Humanising Language Teaching, Year 12; Issue 6, December 2010. English PhiloLego or The Silent Way Revisited – Anna TURLUA, Humanising Language Teaching, Year 10 Issue 4, August 2008. Making Pronunciation Work for Your Learners – Adrian Underhill, The Language Teacher, JALT, 1996. Silent Way and Getting Low Intermediate Students to speak (RTF), Report on a workshop given by Roslyn YOUNG Humanising Language Teaching, Year 3 Issue 4, September 2001. One More Step to being Freer in Learning ESL – Andrew WEILER 1992, The Science of Education in Questions No – 9 – June 1993. Une Education Pour Demain, Besançon, France. Articulatory approach for teaching pronunciation. Wikipedia. 2015. Teaching Foreign Languages in Schools The Silent Way (Issuu) – Caleb GATTEGNO, First edition 1963, Educational Solutions. The Common Sense of Teaching Foreign Languages (Issuu) – Caleb GATTEGNO, 1976, Educational Solutions. The Science of Education Chapter 13: The Learning and Teaching of Foreign Languages. (Issuu) – Caleb GATTEGNO, 1985-2010, Educational Solutions. The Gattegno Effect. (Issuu) 2011, Educational Solutions Worldwide. Roslyn Young has written numerous articles on the Silent Way. You will find links to online versions of many of them on her site: Roslyn Young. Piers Messum has also written many articles related to the Silent Way. You’ll find them on the Pronunciation Science downloads page. YOUNG R., MESSUM P. (2012) Comprendre l’apprentisage pour mieux enseigner, Une Education Pour Demain, Besançon, France. pp 226. YOUNG R., (2011) L’anglais avec l’approche Silent Way, Eyrolles, Paris. pp 288. Un extrait de 8 pages en ligne.